Today marks the 30th anniversary of the Hillsborough disaster, one of the worst tragedies and miscarriages of justice in sporting history. 96 football supporters travelled to Sheffield to watch a football match, hoping their beloved Liverpool would beat Nottingham Forest in the FA Cup semi final. They never came home, crushed to death, unlawfully. 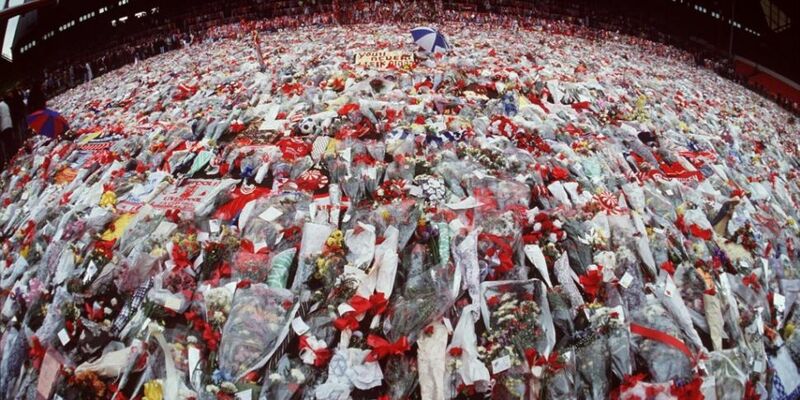 That their reputations would be sullied, their good name dragged through the mud, their families devastated by the lies of the cover up is a dark stain on British society that will never disappear, despite the apologies, the trials and the eventual justice that the 96 received. The restoration of their innocence and their dignity took too long. So many of the victims were young. 37 teenagers died in the tragedy. A memorial service is being held at Liverpool Cathedral to mark the 30th anniversary of the disaster. A minute's silence is being observed at six minutes past three, the exact time the football match at Sheffield Wednesday's ground was stopped. The bells of Liverpool City Hall will toll 96 times - once for each of the victims. The youngest person to die was a 10 year old, Jon-Paul Gilhooley, who was Steven Gerrard's cousin. I was 10 at the time, watching with confusion on television at home as the events unfolded. Even for a child, it became very clear early on that something was terribly wrong. I remember Match of the Day that evening. Hillsborough changed a lot of things. It heralded a culture of safety that football was crying out for. It shone a light on the way a city and it's people could be treated by it's own Government. Things are better now, but it came at a very heavy price. If you want to know more, there is a definitive documentary on the subject, which shows the pain staking work that the families undertook to seek the truth.